When you open a checking account, most banks offer you a debit card to access your funds. Debit cards are safer than cash and more convenient than writing checks -- you can simply swipe your card and authorize the in-store purchase by entering your personal identification number and the money is drafted from your account and deposited into the merchant's account. By using the PIN-less debit feature, you may still make purchases without physically being present. 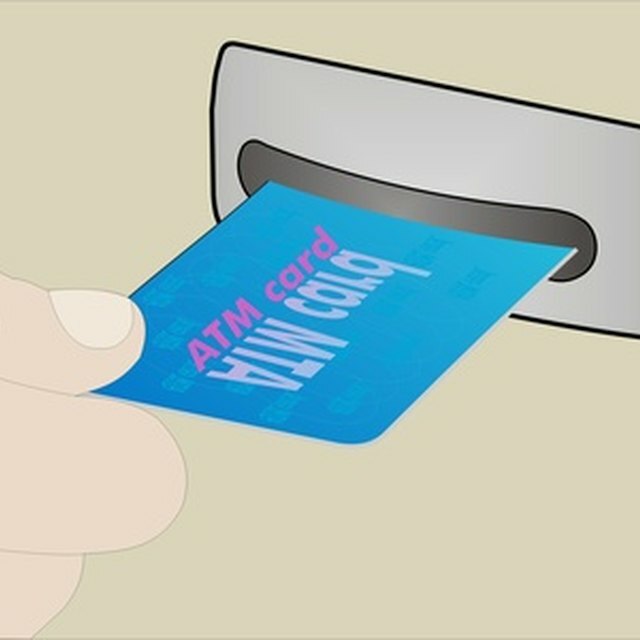 Bank-issued ATM debit cards can be processed to make a payment without having to enter your PIN. With your permission, funds are electronically transferred from your bank account to the merchant's account in real time. Although your debit card may have a Visa or MasterCard logo on it, certain transactions give you the choice of having the card processed as a PIN-less debit instead of credit. Depending on the issuer and the category of purchase, you may not have to sign or enter a PIN for in-store purchases below a certain amount. For example, at the time of publication, discount stores and supermarkets can accept Visa cards for transactions up to $50 without requiring a cardholder's signature or PIN. MasterCard features a similar limits for debit card customers. Not all banks allow the PIN-less debit option. Merchants generally give customers the choice between processing their payments as ATM/debit or credit. For customers, there are rarely any advantages to choosing the PIN-less processing method over the credit option. To accept PIN-less debit card payments, a merchant needs a payment processor set up to submit the transactions directly to the electronic funds transfer networks that waive PIN validation. The EFT networks, including Star, Pulse and NYCE, are the same used to route ATM transactions. For merchants, the costs of processing PIN-less debit card transactions is far less than the expense of processing them through the credit card network. Without a PIN to valid the debit transaction, there is a greater risk of loss occurring from fraud. EFT networks limit the use of PIN-less debit transaction processing to a small range of merchants within certain authorized industries. The transactions from the approved sectors are considered safer because they take payments from routine customers. Permitted industry sectors vary by EFT network. PIN-less debit card payments are commonly accepted by utility companies, government agencies, education providers, insurance providers and mortgage companies. Bank-issued debit cards that have a Visa or MasterCard logo can be run as a debit card or a credit card when making transactions. When you make a purchase or submit a payment online or over the phone, it is also commonly referred to a Card Not Present transaction. Since the majority of merchants do not have the ability to process PIN-less debit card payments, your online transactions are generally submitted as credit. The transactions are verified using the three-digit security code on the back of your card. Your financial institution may charge you a fee for payments processed as a PIN-less debit transaction. Review your bank's PIN-less debit transaction disclosure for specific details pertaining to your account. If you choose to have your payment processed via EFT instead of the credit option through Visa or MasterCard, you may not receive the benefit of liability protection under the credit card company. The Takoma Group: What is PIN-less Debit? Neighbors Credit Union: What is PIN-less Debit?